It was 4am on Saturday, April 21. I arrived in London eight hours earlier, and had spent almost all of that time chatting with D’banj , in his first interview with a Nigerian newspaper in a long time, and his first interview on the Mo’Hits brouhaha. London is D’banj’s town. He’s performed there over and over,his single ‘Oliver Twist’ is on the A-list at Choice FM , and enjoys heavy rotation on other stations. A day before I came,he spent hours doing interviews at the Universal offices in Kensington. Some might hail D’banj as the man championing the gospel of ‘Afrobeats’ across the world. But, just like the cab driver, London does not yet know D’banj. As we walk into the Choice FM building in the afternoon on Saturday, there are no heads turning or fans gazing. In fact, his lawyer, Elias, who wore a pair of loud snakeskin boots, attracted more attention than D’banj. Who leaves a zone where they’re comfortable and celebrated; where they’re established and successful, for a place where no one seems to give the slightest care? The 31 year-old entertainer has spent nearly two years building structures he hopes will help take his music to new markets in Europe, and especially America. This move, he believes, cost him his friendship and business relationship with his long time partner Don Jazzy. ‘ I’m a risk taker ’, he says. ‘ Life is all about risks. But you mustnever endanger yourself. I don’t endanger myself, which is why, even though I’m here, I’m still in Nigeria all the time, performing ’. With incredible energy, and the kind of passion that endearedeveryone to him when he first moved back to Nigeria in 2005, D’banj says his deal with Kanye West is a case of ‘preparation meets opportunity’. ‘ I pulled up with my entourage at the Emirates first class lounge in Dubai. We were returning from Scott Tommey’s birthday. I came down with Bankuli, my P.A. Chuchu, and my business manager Chidi. My entourage was large and I was looking fly. One of the hostesses ran to me with a Kanye West placard. I said I’m not Kanye o – then I told my guys ‘Kanye is around so no dulling.’ Chuchu and Bankuli spotted Kanye walking in to check in. They went to him and he said we could come over’. ‘ Then we met someone that knew someone that knew another someone and we got another email address. We sent several messages again, no response. Then Bankuli sent a final one saying, ‘we have been in New York for some time and sent several emails. We have waited long enough and are now on our way to do the Snoop Dogg video ’. ‘ We didn’t believe it. Don Jazzy, who had been reluctant all along, still did not believe it. Even when we got there (Wyclef’s studio) the next day, he stood outside. When Kanyecame I went to call him ‘Oya come now, come play am the music now’. It was difficult to believe it was real and it was happening. Then when Kanye came in, with the GOOD music acts, I was like, ‘wow ’. From there everything happened fast. Next they were meeting Jay Z, making a presentation to LA Reid (At Electric studios), and discussing contracts. But while the label offered him a traditional recording contract, D’banj opted fora joint venture agreement structured to guarantee three things: retaining full control of his materials in Africa, signing Don Jazzy on board (on behalf on Mohits USA), and, he says,bringing the Universal/Def Jam imprint to Africa. ‘ I’ve always thought of how I can be a useful vessel to the industry. A friend and colleague always says to me: ‘D’banj, you’re the Jesus Christ of the industry.’ So having ran Mohits for nine years, I already had plans of how we could blow Mohits up. I had plans of expanding, and most especially, bringing hope to that 11 year-old kid somewhere in Africa who may never have had the opportunity to get signed to major labels ’. And I’m happy to tell you that we’re doing that. D’banj’s album will be the first under Universal/Def Jam Africa, and we’re already putting all the structures in place’. Just like the lyrics of the song, D’banj was an Oliver Twist. Here’s a guy who had conquered a continent; was sitting on the top three list, and making more money than anyone else inhis category. D’banj was a big player in Nigeria, where there are over 150 million people; a big player in Africa, with over 850 million people. But he wanted to play big globally, with 7 billion people to grab from. ‘ Don Jazzy was no longer comfortable. You know, we were like fishes out of water, in this new system, starting all over again, like when we returned home in 2004. I got him a placein the US, set up a studio there, just so he’d be comfortable and be able to work without going to hang around the studios. In one year Jazzy did not make a song. I said, maybe you wantto go back to Lagos, you’ll get inspiration there? ’ I was all about the work, I wanted us to make this happen, so we can bridge that gap and create a path for Africa. But Jazzy wanted us to go back home. And I understand. He’s my friend, my brother ’. Don Jazzy wanted Mohits, D’banj says. And that happened on April 16, 2012 – after months of a bitter feud, characterized by accusations and counter accusations, widespread speculation, leaked emails and failed reconciliation attempts. Already judged guilty in the court of public opinion, and publiclydisowned by his own boys Wande Coal and Dr SID , D’banj says he’s sad, but not bitter. Does he feel kind of lonely, alone in the cold? ‘ Asking me if I’m lonely because Wande or Jazzy has left me is like asking my first sister if she’s lonely now – she has two kids now, lives in Canada. Don Jazzy is still my brother – we just had to move on. We’ll still work together in future, same with my boys. In fact, just this week, he sent me the remix to Oliver Twist that we’re releasing in the UK on May 14. All the interviews I’ve had here,I kept hyping him. It’s already in my system – you know me, I’m a one-way soldier. Jazzy is a very quiet person. Loyalty is key. My loyalty still lies in the friendship I had with him. He was cheated by JJC, and I was present. I swore never to cheat him. But I’d like to think our visions became different . The day after our Canary Wharf interview, we meet up at Highbury Islington , where he’s shooting a documentary and the promo for the Oliver Twist competition for the UK. D’banj’s new crew: Semtex (a white A&R rep from the label), Bankuli and Vanessa, are on the ground, working with the production team. ‘ This is why we’re here o. This is the nextpreviouswork ’, he says as he invites me into the dressing room. It’s very unexpected that D’banj – the super aggresive D’banj– is speaking in this manner. He has fought many battles, cut off many former friend-associates, ignored the Nigerian media, and reportedly humiliated several Mo’hits members, including Ikechukwu and Dr SID. Temperamental, often impatient, and vocal, those who know him will tell you the D’banj they know, is not the one that’s speaking. Obviously people will say stuff – but this is me. I can’t keep up with everyone, no matter how much I try. But I understandwhere I’m coming from. I cant forget my roots – all the interviews I had yesterday, I was ‘bigging up’ DJ Abass, he gave me my first show in London. You saw me giving Jazzy props in my interview earlier. That’s me. If I was arrogant I wouldn’t have been the one even chasing Jazzy around sincehe told me last July that he wanted to scatter Mohits. Last time I saw him was on February 19 at Irving Plaza. He didn’t support the show, and he only came on stage when SID and Wande were performing. I wanted peace. That’s surprising, because when the leaked emails emerged, revealing private email conversations between the estranged partners, all fingers pointed at D’banj. Don Jazzy, a likeable celeb and social media addict, didn’t have anything to prove. 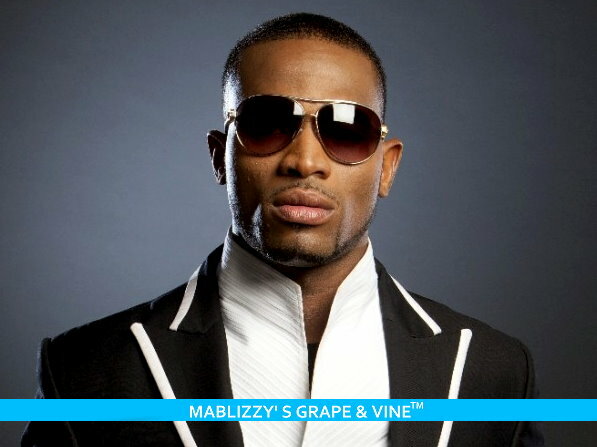 D’banj was the one who looked bad, and, understandably, would want to make a move that could earn him public sympathy. But were the emails forged? Why did you tell Ebony you own Mohits? My mom advised me not to speak. And the interviewer took it out of context. I co-owned Mohits. We registered the business in 2004, and we owned it 50:50. So I spoke about that, but the interviewer took it wrong and the fans put pressure on them and they corrected it. I never wanted to have any interview. It was on the eve of my US show. I was told I should do the interview, because they’re very troublesome. I had to do the interview for the sake of my show the next day. I was guaranteed that there’dbe no politics questions. I had not been in the country. And I had been under pressure. Sadly, when that happened and I was being attacked in the media, none of my guys came out to support me. Looking at all this, what are your regrets? The truth is that if nothing went wrong, you’d have still heard all this good news and Mohits would take the glory, I didn’t come out in eight years to say anything. Everyone madetheir contributions. There were no issues, as long as it worked. My mistake was thinking that we were one. People don’t question their brothers and sisters. How do you feel about Wande Coal and Dr. SID takingsides with Jazzy? I won’t be too quick to judge Wande Coal. I hear it was Jazzy that tweeted those Wande tweets. I don’t know how true that is, but I know he had our social media accounts. As at a month ago, I couldn’t access any of my accounts. My password was changed on Twitter and Facebook. Then Universal intervened. I’m about to be verified on Twitter now.I’m not really a social media person, so it was Don Jazzy and some of our other guys that were running it. Wande himself knows the truth. He cannot talk to me like that. The whole Mohits knew who ran the label businesswise. They knew who to come to when they needed to get money out, after we recorded the album. Who knows the factory where Dansawas made? But you will know the marketing manager. The carhe’s driving, I bought him a brand new Prado from Phyllis and Moss after he crashed the car he won from Hiphop World awards. I bought six Range Rovers last year. I bought D’Prince an LR 3 last year, he crashed it, then I bought him a Range, and it’s true that I bought two Bentleys. Because of Jazzy. But after July last year, after the issue with Jazzy, I bought myself the Aston Martin. You bought that? I thought that was a gift? How were you able to fund all that? In the last nine years, there are a few people and corporate bodies that God has helped me build relationships with, eitherindividuals or banks, or even corporates that are involved in the growth of the industry. I’ve enjoyed their support, and even now that we’re going global, we’re pooling the funds together from all these places. Could you possibly be Nigeria’s richest pop star? A billionaire? Vanity upon vanity. Money is material. In terms of what we’redoing, you’ll call me a Trillionaire, because this vision is too big for only me. With the help of the industry, the government, people like you Ayeni, we will not only be billionaires, but trillionaires, and not just me, but every little kid that has sametalent like Beyonce, or Nicki Minaj. And with the standard of the UMG worldwide, we can pass people out from our own Universal Music Group Africa, Universal Def Jam Africa, and everyone should jump on this ship with us. It’s not the Titanic. There’s been a lot of confusion – what label exactly are you signed on? My album comes out under my label/GOOD Music/Island Def Jam. I’m funding the D’banj album, in America, through GOOD Music/Island Def Jam. GOOD Music is Kanye West who is co-executive producing with me. The deal comprises of IslandDef Jam, in US. But in UK, it is under Mercury. My first single will be released in Europe on May 14. My work will be released in Africa through Universal/Def Jam. We don’t have these structures in Africa, and they’ve seen how much money they’ve lost. They’ve seen what I’ve done with Mohits. I made my pitch to them; I’ve made them realize how much they were losing in the African region. Over 150m Nigerians, over 800m Africans. 2% of that is 8.5m. They were not making anything except from S.A, which has been the US of Africa. So we will be launching this label in Ghana, in partnership with Vodafone, launching in Nigeria in partnershipwith MTN. Def Jam Africa will be up soon; Kenya, SA, and North Africa will follow. Why are you risking all this? What if you burn your fingers and lose everything you’ve worked for? Lose out? Well, I am happy I even have something to risk. To whom much is given, much is expected. Look at Steve Jobs, Bill Gates, Jay Z, Kanye West, these people take it to the max, take it to where they believe that they can push it to. Inthe first instance, coming back to Nigeria with Jazzy was because I was a risk taker. And I wouldn’t say I’m throwing everything away. I would say I’m putting everything back in, in order to rip into the future. I get a broadcast from Tonye Coleeveryday. He says when you tell people this your vision, knowthat it’s not for you alone – it’s for everyone. It’s like what Fela did. If what I’m doing doesn’t work, but sows that seed that will germinate in three, five years, it means my name will be written in gold. Some people have tried this before you, unsuccessfully. Do you have doubts and fears sometimes? And so, as I say my goodbyes and flag down the cab that’ll take me to Heathrow Airport, I can’t help thinking out loud: should one man sacrifice the wishes of the collective on the altar of ambition and material wealth? But then, what should be expected of the man whose dreams and ambition grow beyond those of other – possibly myopic- members of the collective: should an individual sacrifice his personal desires; derail his destiny, so to speak, in the interest of the collective? In all of this, faithfulness and loyalty have been brutally murdered. And the jury is still out on who pulled the trigger. Posted on April 24, 2012, in Entertainment and tagged Africa, Choice FM, dbanj, Donjazzy, Good music, Kanye, kanye west, LA Reid, Mohits, Nigeria, snoop dogg. Bookmark the permalink. Leave a comment.